The FIT Show has announced that Heathrow Airport will be exhibiting for the first time. The airport will utilise the event as a platform to secure key elements of its supply chain to deliver its ongoing ‘Heathrow Quieter Homes Scheme’. The scheme, designed to make noise attenuation improvements to windows, external door, provides insulation and ventilation to homes within a growing catchment area. “The Heathrow Quieter Homes Scheme” commenced in 2013 and has already seen improvements made to an estimated 400 homes per year. 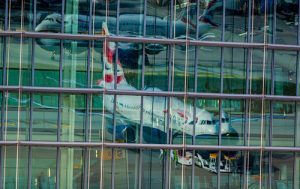 Heathrow has pledged to further expand its project in the run up to the third runway. FIT Show, the UK’s only dedicated event for the glass and glazing industry, has been identified by Heathrow as a vital tool to meet with systems houses, fabricators and installers all under one roof across three days – all of which are needed in order to deliver its target. The airport is already working with the likes of Newview Homes and Nationwide to manage the installation of products from companies such as Profile 22, Eurocell and Rehau, but needs to broaden this further. Heathrow will use FIT Show as a mechanism to see what other PVC-U, timber and aluminium products are available, as well as an opportunity to meet with prospective installers to explain the scheme and explain how they could help deliver these projects. Speaking about its decision to exhibit at FIT Show, Andrew Haynes, Heathrow’s Procurement Director said: “As we look to grow Heathrow, it is important we continue to deliver on the commitments we have made to our local communities. The manufacturers and installers we will meet at the FIT Show will be an essential resource to us as we deliver on our promise to provide a world-class noise insulation programme, and reduce the impacts of noise on those closest to us. We are looking forward to this year’s event and meeting businesses across the UK with the ideas, energy and commitment we need to deliver our plans. ” Heathrow’s presence at FIT Show will include stand space, as well as having key personnel, such as quality surveyors from its scheme, onsite across the three days to speak first-hand with interested suppliers. The airport is in discussion regarding a fenestration apprenticeship which is being delivered in partnership with Brooklands College and is designed to upskill young people in the area. FIT Show Event Director, Nickie West said: “We are beyond excited to finally announce our partnership with Heathrow Airport, having worked closely with them in recent weeks to get the proposition right and maximise their involvement in the show. “The work that is already being done by Heathrow from an upskilling, training and quality perspective is truly music to our ears. We’re completely aligned with their ambitions to utilise FIT Show as a key platform to help connect with its prospective supply chain in order to deliver these programmes. “This project is massive. Once fully operational, it is likely to equate to a substantial value of all installation work that is being carried out in the UK annually. We know that our audience, from exhibitors through to visitors, will be massively excited by this and will use FIT Show as an opportunity to meet with Heathrow and unlock the potential to grow their businesses by getting involved in the scheme.” FIT Show 2019 will take place at the NEC Birmingham from 21st to 23rd May and will feature up to 300 exhibitors from across the window, door, conservatory and glass industry. New features for 2019 include the addition of Visit Glass which will be dedicated to the flat glass sector and include both products and machinery. Those who register for FIT Show will be contacted with the opportunity to book meetings with the Heathrow team throughout the event.